Some secrets are best kept to yourself. Victoria is not one of these secrets. In fact, it's one you should help spread to the masses. Provided the masses are all over 21. 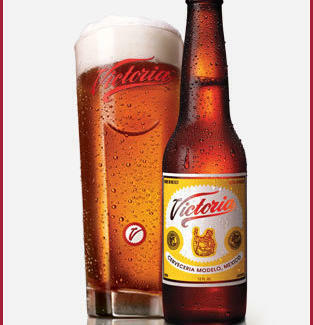 Celebrate Victoria's arrival to the States after being exclusively sold in Mexico since 1865. Created with the modest aim of becoming the best Vienna-style lager on Earth, it surpassed the European model with its medium body, slight malt sweetness, and refreshingly clean finish. The beer's aesthetically blessed as well, with each bottle featuring an image of Gambrinus, the patron saint of beer. He's said to appear each time a perfect glass is poured, as opposed to your friends, who appear each time any glass is poured. See who's serving the quality lager near you by using the Find Victoria tab on their Facebook page. And make sure to spread the word. Because a Vienna-style lager that's now available in the States for the first time in over 145 years deserves to be shared.